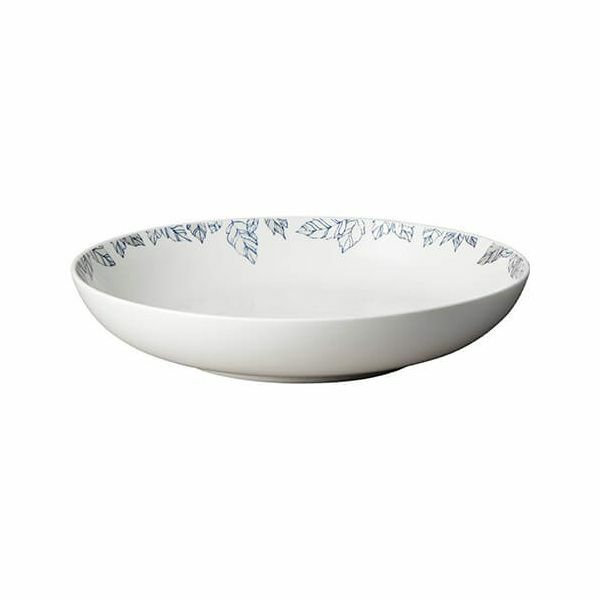 An attractively shaped Pasta Bowl from the Monsoon Fleur collection by Denby. The delicate line work of the Bowl's floral border is finished in Cobalt Blue an shimmering silver. The collection is inspired by a pattern discovered in the Monsoon Fabric archive. The design team have given it a contemporary twist, creating floral patterns and designs using fine line work finished in Cobalt Blue with shimmering silver detailing on a soft, cream china base. A collection that builds on the tradition of blue and white tableware being delicate in design and looks, yet is made to last.